I did it! 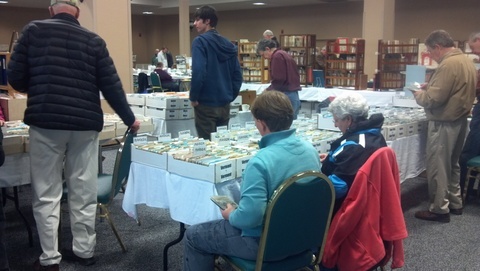 My thoughts and plans came together and above shows my booth at the recent VT Antiquarian Book & Ephemera Fair – the Spring show – over the past weekend – Sunday, March 25 – in Burlington. 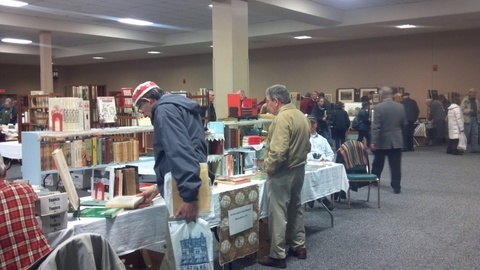 I admit that I fretted about the booth – design to picking out books – and I feel I did an okay job. 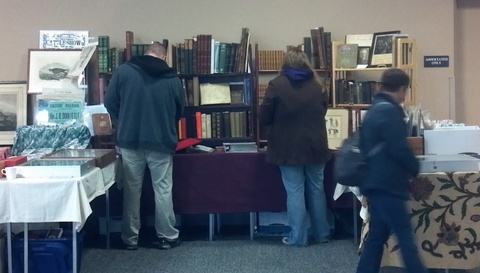 I liked how the booth came out and I think I picked out a range of books that highlights my store. I did some sales which relieved me because I just didn’t want to face a day of no sales. 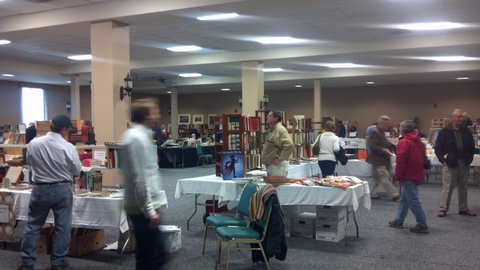 I got to talk to people as they poked around my books and other exhibitors which was the best part as well as to see what they brought (And their pricing, too. I was excited because I felt I was pretty on target with mine). SO, all my struggles paid off and I made it through and gained confidence. Now…when is the next one? Oh yes, August in Brattleboro, VT. More on that later. And yep! I’m going to be there!